A mysterious drowning, a beautiful terrorist and a desperate search for a magical hybrid. What if only your worst enemy could help you save the world? 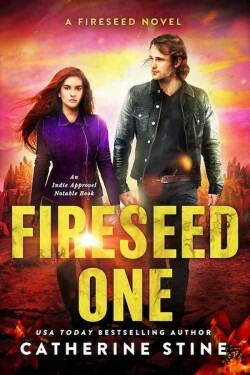 When Marisa Baron, a beautiful and shrewd terrorist, who knows way too much about Varik’s father’s work, tries to steal seed disks from the world’s food bank, Varik is forced to put his dreams of becoming a doctor on hold and venture with her, into a hot zone teeming with treacherous nomads and a Fireseed cult who worships his dead father, in order to search for Fireseed, a seemingly magical hybrid plant that may not even exist. If everything about you changes , what remains? Seventeen year-old Ruby and her little brother Thorn, have only known a life blighted by the extremist Fireseed Cult. The night Ruby is set to be claimed by one of its cruelest and oldest leaders, she makes a bid for freedom. With Thorn in tow, she stumbles into the world beyond, and finds an opportunity for a fresh start in Skull’s Wrath under the guidance of Nevada Pilgrim, a woman who may not be all she seems. Ruby’s new life could bring her friendship, love, even fortune, but nothing comes without a price. Is Ruby’s talent for elixirs keeping the roof over their heads, or do some of her associates have a more sinister interest in them? 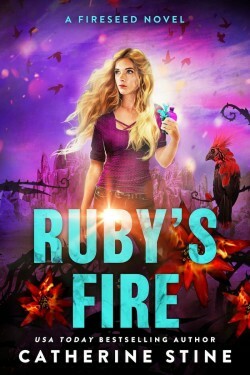 Life outside a strange cult isn’t without its dangers, and the experience leaves Ruby transformed and communing with the Fireseed more closely than she ever would have imagined.